From pit to port Ampcontrol is an industry leader in integrated electrical protection, monitoring and control solutions for coal mining applications. Throughout our almost 50 year history we have helped our customers achieve a safer and more efficient mining operation through our innovative technologies. 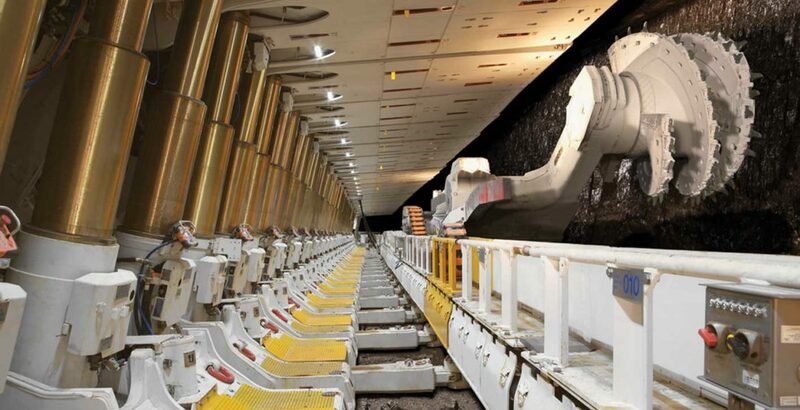 Our world leading electrical solutions include longwall electrical systems, development section packages, conveyor power and monitoring systems, high voltage infrastructure, gas detection, automation, lighting and mine wide communications. Our experienced team has led the way and created innovative solutions such as the world’s first 11kV AFC longwall electrical system, intrinsically safe LED lighting, the first integrated electrical protection relay for mining and the market leading wide bandwidth earth leakage relay. We partner with our customers, working through the design and application challenges unique to their coal mining operation. We focus our delivery across all aspects of our internal supply chain to ensure a project that is installed and commissioned successfully. But we don’t stop there. As the OEM, we know the operational value of what we design and manufacture which is why we are focussed on optimising the electrical equipment you have invested in to ensure operational availability. We provide our customers with continuity of technical support to ensure equipment runs as it is supposed to, doesn’t breakdown, is statutory compliant and operated correctly. With strategically positioned operations in key coal mining areas around the globe, Ampcontrol’s highly specialised electrical engineers, high voltage electricians and service teams are on hand when and where you need them. Ampcontrol is leading the way, developing the world’s first 11kV longwall electrical system. Ampcontrol’s longwall relocation specialists assisted Whitehaven Coal with their Narrabri North operations longwall move.